What's the Status of my Review? Step 0. Are you sure you’re ready? Before you submit your book, are you sure it’s “ready for prime time”? MWSA’s review and award system will evaluate your book against many industry-standard criteria—including the technical areas of spelling, grammar, punctuation, etc. If your book has too many errors, a low technical score will “torpedo” your chance of winning an award—or even getting a positive review. If you’re not quite sure, consider using our Beta Readers program to line up a few of your fellow MWSA members to give it an honest look. You might also want to consider getting a second opinion from a professional editor. See our Resources page for a list of MWSA members offering editing services. Submit your book via our online request form. Read Fine Print page for details before submitting your book! If you use a pen name/pseudonym, please use your real name as point of contact when submitting your book so we can ascertain your membership status. After we've received you book information your book will be added to our online library and will reflect that your MWSA review is "pending"
Submitting your book during the above time period ensures that it will be read, scored, reviewed and considered for that year's awards season if at all possible. However, depending on reviewer workload, we may not be able to complete a review for books submitted in the last part of the season. If this happens, authors will have a choice of having their $40 fee refunded or keeping their books in the running for the next year's awards season. It may take several weeks (or longer) to identify your three reviewers and then a similar period of time to complete the entire evaluation process. Although scores and certain internal, "eyes-only" reviewer comments will not be released to authors, many reviewers submit comments that the author might find useful. When released to the author, these comments will not be edited for "tact or diplomacy" beforehand. In other words, be prepared for direct and unedited reviewer critiques, comments and observations if you ask to see them! Within a few weeks after all reviewers have finished reading and scoring your book, we'll let you know that your MWSA review has been added to your book's listing in our online library. No matter how well--or how poorly--a book scores, all authors will retain the right to have their book and/or MWSA review removed from our website. MWSA's main goal will always be to help our member authors. Our reviews are normally oriented toward that goal, and as such should not be considered "critical" reviews. We prefer not to post any review detrimental to an author's book marketing efforts. The MWSA Awards Director will notify the author that the final average score of their book did not reach our minimum standard. At this time, the director will go over some of the main problem areas identified by our reviewers and offer the author the chance to receive a copy of reviewer comments and observations--but not the actual scores. Books that fail to reach our minimum threshold score must have reviews that mention some of these problems found. Authors will be able to see the draft review and decide whether or not they'd like to have us publish it on our website. MWSA will not "negotiate" with authors with respect to the content of our review. MWSA will not normally refund a submission fee in the case where the author decides that our review should not posted on our website. Whereas MWSA reviews are focused on helping our member authors, our awards are determined based on an objective and critical evaluation of each submitted book. Books do NOT compete against each other, but against a rigorous, numerical scoring standard. See our Awards Section for more information. The cost is included in the original book submission fee. If the author cannot attend the ceremony, MWSA will mail the package to anywhere in the continental US. In this case, we ask that the author cover our postage costs using our online store. MWSA will work with winning authors who need packages mailed overseas on an individual basis. If an award-winning book has more than one author, extra medals, stickers (and postage, if necessary) can also be purchased in our online store. These extra medals and/or stickers can be purchased any time after the announcement of Awards Finalists, but before the awards ceremony if you'd like us to present the extra awards materials during the awards banquet. click here for more details and "fine print"
All authors should read this page before submitting their book! only e-book version(s) of their work. 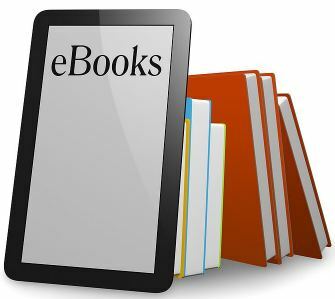 If you're sending a combination of paper and e-book versions of your book (because one or more of your reviewers accepts/prefers eBooks), you'll only need to send one gift per reviewer accepting eBook format. The other reviewer(s) will need a paper copy mailed to them at the address provided. You do not need to send more than one format (i.e. softcover and Kindle) to any one reviewer. Once we receive your gift certificate(s) via email, we’ll forward to the applicable reviewers and send you a short email letting you know that’s happened. If the above Amazon Gift Certificate option is not possible, the Awards Directors will work with authors to try to come up with an acceptable solution to get your eBook to our reviewers. Please do not use this form to submit your book for review/award consideration! Thank you! You should get an answer soon. To continue browsing, just refresh this page.